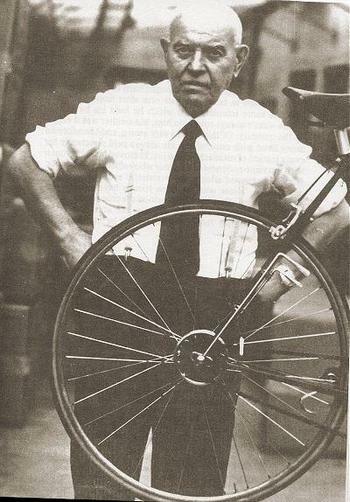 When bike racer Tullio Campagnolo's cold hands couldn't remove his rear wheel to flip it over to his fast gear, he knew something had to change in the way bicycles were geared. In those years of European racing (the 1930's) , a bike rear wheel had a low gear on one side of the wheel, and a fast gear on the other side. To change gears, the rear wheel would be removed and flipped over. First, Tullio designed a quick release hub. Then Campagnolo designed a gear changer that had gears on only one side of the wheel. As the chain went from one gear to the other, the rear axle was moved back and forth to take up the slack. It was called the Cambio Corsa. With a little help from a friend, we dug up the Italian patent figures on the Cambio Corsa. Enjoy!! 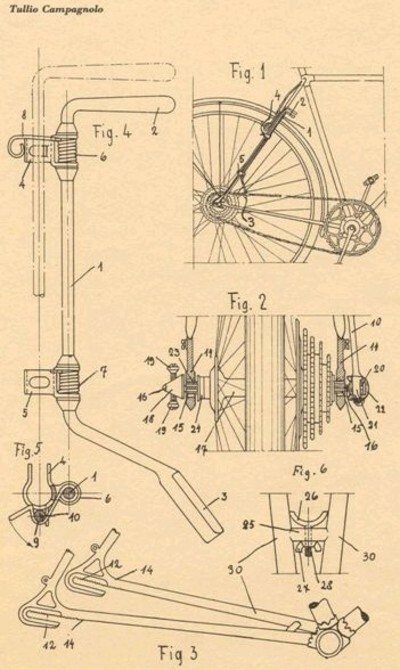 Other derailleur and Campy information is here. 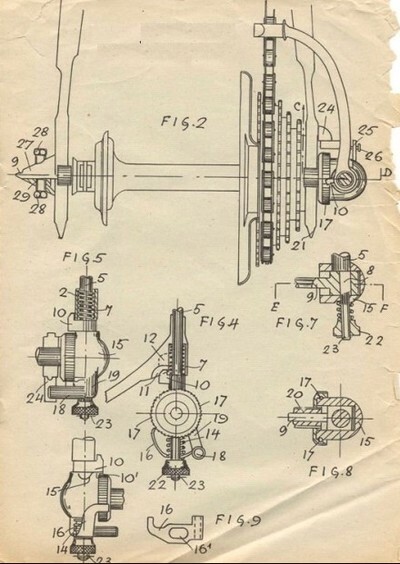 The shifter shown in the first image is the two-lever sliding hub shifter a.k.a. "cambio Corsa". That shown in the second image is the single-lever sliding hub shifter a.k.a. "cambio Paris-Roubaix". I have several bicycles equipped with these shifters and use them frequently. The Paris-Roubaix mechanism in particular is a marvel! Shifts surprisingly well (with practice). Here's a link to pictures of the Paris-Roubaix shifter.